Finding work or finding workers? 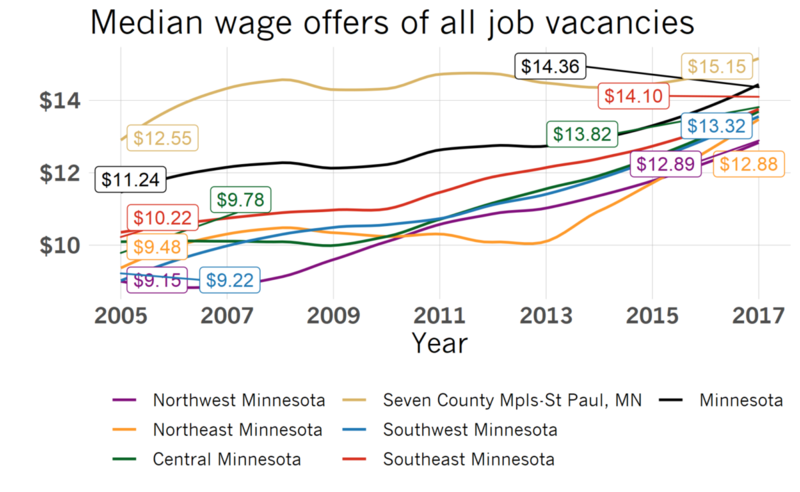 An upcoming report by the Center for Rural Policy & Development shows that there is no shortage of jobs available in Greater Minnesota these days. CRPD Research Associate Kelly Asche joins Jim this week to talk about job vacancies, wages and more in part 1.